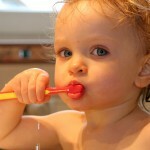 Home » Posts » Dentistry » periodontal disease » How should I brush my teeth? Regular daily toothbrushing plays an important part in preventing periodontal disease and caries but is there consensus on how this should be carried out. The main aim of this study was to assess the methods of toothbrushing recommended for both adults and children by dental associations, toothpaste and toothbrush companies and professional dental sources such as in dental textbooks and by experts. The websites of dental associations in Australia, Brazil, Canada, Denmark, Finland, Japan, Norway, Sweden, the UK and the USA were searched. Google translate was used to translate those in non-English speaking countries. Toothbrushing guidelines were sought from toothpaste and toothbrush company sources. Dental textbooks were also searched. 66 sources were located with 58 having usable data. 5 – the Stillman technique. None recommended the Charters technique. 42 – recommended twice daily brushing. One source recommended brushing for more than 3 minutes. There was unacceptably very wide diversity in recommendations on toothbrushing techniques and on how often people should brush their teeth and for how long. Such diversity in recommendations should be of serious concern to the dental profession. 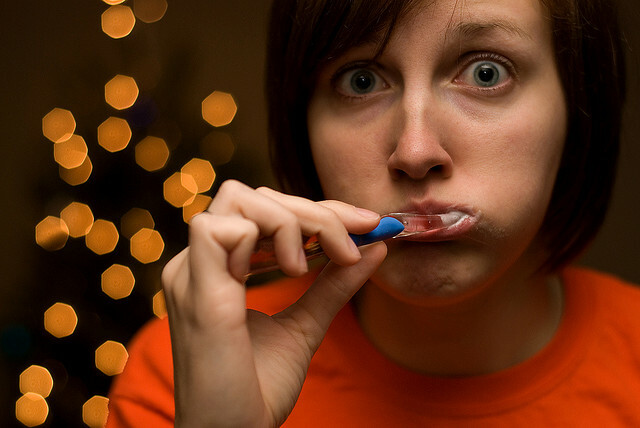 There is an urgent need for research into the comparative effectiveness of brushing methods. Higher grades of evidence are required to inform professional bodies that develop guidelines. While a broad search for relevant information has been conducted there is little detailed information on how the clinical trial literature has been searched. While the review might not have been exhaustive it has certainly created an impact in the media. As is noted in the journal, there is good evidence that brushing with a fluoride toothpaste of at least 1000ppm fluoride twice a day helps reduce tooth decay (Marhino et al 2003; Walsh et al 2010). There is also evidence to show that a powered toothbrush reduces plaque and gingivitis more than manual toothbrushes, although the clinical importance is this is not known (Dental Elf 18th June 2014). That does mean that we still do not have high quality evidence about which brushing technique is best, or how long we should brush for or how often we should change our toothbrush. While the range of techniques recommended may cause confusion for patients it is not assisted by the wide range of toothbrush designs and toothpastes varieties on the market. The key aim of toothbrushing is to clean the teeth by removing plaque (and apply fluoride) and perhaps the focus should be on that rather than on which particular technique. Plaque off, Fluoride on. Brushing your teeth really is that simple. Marinho VCC, Higgins JPT, Logan S, Sheiham A. Fluoride toothpastes for preventing dental caries in children and adolescents. Cochrane Database of Systematic Reviews 2003, Issue 1. Art. No. : CD002278. DOI: 10.1002/14651858.CD002278. Walsh T, Worthington HV, Glenny AM, Appelbe P, Marinho VCC, Shi X. Fluoride toothpastes of different concentrations for preventing dental caries in children and adolescents. Cochrane Database of Systematic Reviews 2010, Issue 1. Art. No. : CD007868. DOI: 10.1002/14651858.CD007868.pub2. Dental Elf 18th June 2014 – Powered toothbrushes reduced plaque and gingivitis more than manual toothbrushes. MT “@TheDentalElf: How should I brush my teeth? http://t.co/ttUavDAwOt” outcome: get the plaque off. In terms of searching the available literature, we applied similar methods to a paper by Nadanovsky et al who looked at recommendations in paediatric oral hygiene practices (Dos Santos A, Nadanovsky P, de Oliveira B H. Inconsistencies in recommendations on oral hygiene practices for children by professional dental and paediatric organizations in ten countries. Int J Paediatr Dent 2011; 21: 223–231.). Unfortunately in shortening our paper to meet publication requirements we had to remove some detail. To clarify details on our literature search, this differed from Nadanovsky’s depending on the type of source we were analyzing. Dental associations were generally the easiest as there is usually just one per country. For industry sources we used ranking services to identify the greatest number of online hits. For textbooks, we chose books by number of sales and most recent date of publication. For research, the preference was for the highest grade of available evidence and number of citations. We acknowledge that despite attempting to provide a degree of rigour to our search and inclusion criteria the selection was not entirely rigourous, especially as we wished to gain a representative sample from all included countries. Analysing guidance in foreign languages and in videos presented challenges which we attempted to address using translation services and multiple assessors observing video guidance. Whilst we weren’t able to identify and examine an exhaustive list of sources we think the results we obtained are representative of the current situation – that there is wide variation between toothbrushing guidance from professional sources worldwide. We completely agree with your comments on the importance of fluoridated toothpaste, and acknowledge the findings of the Cochrane review on powered brushing. The powered vs. manual brushing question is one we are often asked by many colleagues. Our personal view is that until it can be more reliably shown that powered brushing produces a clinically significant effect, our efforts as a profession should be directed towards manual brushing which is performed by the majority of the worlds’ population. Finally, we agree with your statement on how different recommendations on the broad subject of oral hygiene may create confusion for patients. However, we find your closing statement contradictory. You say “The key aim of toothbrushing is to clean the teeth by removing plaque (and apply fluoride) and perhaps the focus should be on that rather than on which particular technique.” Surely, if we want people to remove plaque effectively, we should strive to establish what is the best and easiest method to achieve that. Many of the methods of toothbrushing that are being widely recommended are not only relatively ineffective, but they are difficult for people to use. The question that needs to be addressed is why has the dental profession been so uncritical about the recommendations on what method of brushing to use. I wasn;t aware of that Abegg paper. It does reinforce what I see clinically in that no matter how often you seem to give Toothbrushing instruction, and it initially seems successful, that after a relatively short period of time, plaque levels often revert to previous levels. Is toothbrushing associated with gingival recession?